Reset Android on Pivos Xios DS media play! 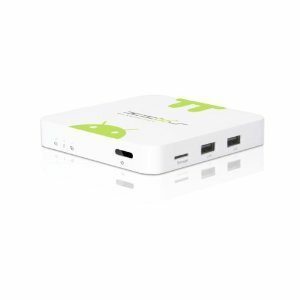 The Pivos XIOS DS is a nice small Android -and Linux– media box with plenty of power, I/O connectors and possibilities. The XIOS DS also can also be flashed into Android Gingerbread (2.3.x) and even Android ICS (4.x) operative systems, allowing you to run Google Play Store. In the latter, you can also install XBMC as an Android apk. Actually, the guys at XBMC.org selected the PIVOS XIOS DS as the development testbed for their Android version of XBMC, so it is the recommended hardware platform for it in this early alpha and beta stage. If you don’t have this interesting media play box, you can grab your Pivos XIOS DS from amazon.com. Locate in the bottom of your Pivos XIOS DS the UPGRADE hidden button and depress it with a paperclip or similar (you will feel at the bottom of it, a button doing the “click”). While pressing the UPGRADE button, power on your Pivos XIOS DS and wait until a green screen with the Android Robot on it’s side and the UPGRADE TEXT appears. You will be able not only to hard reset your Pivos XIOS DS but also to upgrade eventually your firmware into the latest version by following these instructions!